This adaptable pram set features stitched corners, shaped to neatly fit most pram bodies and adorned with cute bows for that added classic embellishment. Design details include a delightfully retro half-circle top pattern, finely stitched circular patterned inner liner and a colour co-ordinating ribbon. 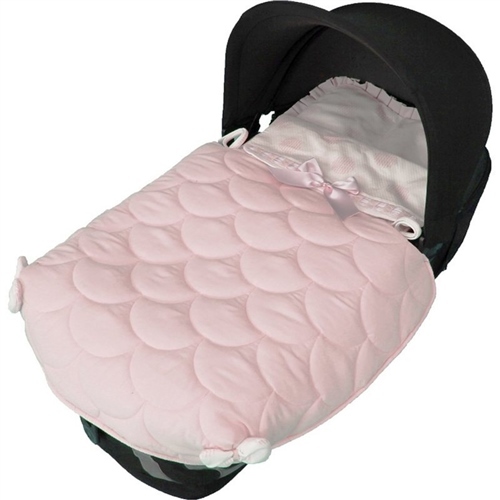 This versatile 3-in-1 pram set can be used as a standalone pram cover, liner or as a complete footmuff. Delivered on time and received regularly emails on delivery status.